Is Sisel International A Scam, Pyramid Scheme Or Legit? Is Sisel International A Scam? If you’re asking ‘Is Sisel International a scam?’ it’s probably because someone is trying to recruit you. Kudos for doing your research – I know it’s easy to be drawn into the hype, but in this review we’re just going to look at the facts. My hope is that by the time you’ve read to the end of this review, you’ll know in your own mind whether Sisel International is a scam you should avoid or a legit business opportunity you should pursue. I am not a Sisel International distributor and I make no money selling the product. I’m just an honest guy on the internet doing my best to make sure people can find truthful, unbiased information about work from home opportunities when they need it. The more you believe you can make money with Sisel Internation, the more money you will lose and time you will waste. People are often duped into thinking they can build an extra income for themselves by recommending health products and handing out a few business cards so they sign up with all the best intentions only to come up against the harsh reality further down the line. Trying to sell high-priced products to people who aren’t interested is a hard slog. If you’re going to make any decent money with this business you’re going to need to recruit and recruit, but the complicate commission structure doesn’t make this an easy sell. Sisel President and Founder Tom Mowers Sr. has done time in a federal prison for tax evasion. Sisel’s ‘miracle-working’ products have not been evaluated by the US Food and Drug Administration. The compensation plan is so overly complex you need to be a mathematical genius to decode it. Though presenters say it’s just $20 to become a distributor, thanks to their autopurchase feature, you’re going to have to pay at least $150 a month for the privilege. Despite what you might hear, network marketing is a dying industry and for good reason; the internet has changed how we buy and sell and ultimately how we do business. I mean why limit your earning potential to your close circle of family and friends when you can create your own internet business that reaches a truly global audience and has unlimited earning potential? The good news is there are sites like Wealthy Affiliate can teach you how to create your own profitable and thriving online business step-by-step, and the beginner’s course is completely free. For me it’s a no-brainer. I joined Wealthy Affiliate 3 years ago and today I make a very good living for myself. I learned how to replace my full-time income so that I could quit my UK call centre job and buy a one-way ticket to Thailand and here I am now, living life on my own terms. Sisel International is one of the many health and nutrition based multi-level-marketing (MLM) or network marketing companies to come out of Utah in recent years. Founded in 2006 by father and son team Tom Mower Jr and Tom Mower Sr, their mission statement is to create toxic-free and environmentally-friendly personal care products and nutritional supplements. Sisl is an anagram (SISEL) which stands for Science, Innovation, Success, Energy and Longevity. Sisel International has 256+ products that apparantely ‘sell themselves‘, ranging from weight loss aids, skincare and make-up, household cleaning supplies and nutritional drinks. I know, I know, they don’t tell you in the business presentation or on the company website, but the truth is co-founder Tom Mower Sr. is a convicted tax fraud. Since you can tell a lot from a company by looking at the owners, whenever you’re considering joining a business opportunity it’s always a good idea to look at the people behind it. In this case, Sisel International is a family owned company with co-founders Thomas Mower Sr and Tom Mower Jr. setting the direction. In 2005 a federal jury found Tom Mower Sr. and his wife guilty of one count of conspiracy to defraud and six counts of tax evasion in 2005. As a result, the Sisel co-founder served a 25 month prison sentence in a federal jail. You can read the full article here. Later in 2007 an injunction was issued against Tom Mower Sr. for stealing Neways International’s the company’s product formulas, distributor lists and vendor lists for Sisel International. You can read all about that injunction here. Are you sure you want to be involved with a company that is headed up by a guy with a dodgy track record and federal prison terms? Are you going to set your future financial stability on a guy that clearly can not be trusted? I know I would not want to be associated with a company like this. I can honestly say I’ve never seen a compensation plan as complicated as Sisel’s. I’ve tried reading the compensation plan several times, watched numerous lengthy videos from distributors trying to explain it as best they can but still I can’t quite wrap my head around it. I know this is typical of MLMs but I honestly don’t get why they need to make it so complicated. Feel free to check out the Sisel International compensation plan (PDF) for yourself here. You need a math degree to decipher this one. If the Mower Mission is to help empower people to become wealthy by giving them a system they can use as a vehicle to get from where they are to where they want to be, what’s up with all the conditions and loopholes? Why not just have a 20% commission rate for direct sales you generate and 5% of the sales your referrals generate? Easy, simple, straightforward. Sisel is a multi-level-marketing company, also referred to as a network marketing company, direct sales company or a product-based pyramid scheme. But the way the commission plan is structured and the strong empahsis on recruiting new distributors into your downline, there’s no denying Sisel is a product-based pyramid scheme. I say ‘product-based’ because they have products which in my opinion are way overpriced, but they do exist. If you want to make any serious money with Sisel and go up the ranks, you’re going to have to recruit. Unfortunately with any structure like this, you’ll find the vast majority of people losing money with only a tiny percentage of those at the top collecting considerable commissions. If you choose to become a Sisel distributor, your chances of failure are high. Sisel don’t provide us with any earnings disclosure or give any idea of how much the average distributor earns in a year, but Jon M. Taylor PhD recently researched over 400 MLM companies and his findings are published on the Federal Trade Commission website. A minimum of 50% of distributors quit within the first 12 months. A minimum of 90% of distributors quit within 5 years. 99.71% of all people who join an MLM company end up losing money. This means only a very tiny fraction of people actually make any money at all, so unless you’re one of top 0.29%, you’ll pay out for the distributor packs, pay out for the expensive products and conferences and be left out of pocket. Sisel International is certainly no exception to the rule, numbers don’t lie and you can ignore these stats at your peril. [alert-note]”The loss rate for all these MLMs ranged from 99.05% to 99.99%, with an average of 99.71% of participants losing money in an MLM. You see they say it costs just $20 to become a distributor but they forget to mention you’re going to need to order an indepedent distributor kit which is then re-ordered for you automatically each and every month. This is in spite of the fact Sisel’s very own terms and conditions state that no person is required to pay a fee to become a distributor. How do they get around it? They simply say it’s instead of paying a fee, what you’re actually doing is buying a kit ‘at cost’ to the company, making it perfectly legal. Look what happened when I tried to sign up as a distributor – you literally can’t complete the distributor sign up process without selecting at least one pack. The cheapest one is $150 and this is apparantely sold “at cost’? Notice the words “monthly auto purchase”, this means you’ll be paying out $150 a month minimum just for the privilege of working for the company. Cancel your monthly order and your membership is cancelled. As you probably know already by now, for the reasons I’ve already given, I’m not a fan of MLMs in general because it’s very hard for you to make money be successful with this kind of compensation plan. I have to say it’s possible to make money with Sisel but you’ve got an uphill climb and only a 0.29% chance of success. Add onto this the fact that the founders have served jail time, Sisel’s overly complicated commission structures, overpriced products which have not been evaluated by the US Food and Drug Administration and the high monthly fee you’re effectively going to need to pay, I can not recommend this as a legit work from home opportunity. I’m sorry to break it to you, but it’s not. As a distributor you’re not a business owner, you work for Sisel. And the top dogs at the top of the pyramid can change the compensation rules at any time they like. If they want to cancel your account, they can. If they want to take your team away from you, there’s nothing stopping them. With Sisel International you are NOT in control of your own financial future. I am all for people discovering how to become their own boss and I’ll do anything I can to help along the way, but this is not the way to get there. People eager to get your signed up under them will tell you it’s easy to make money with Sisel, saying things like “The product sells itself” and all you have to do is use the product, give out a few business cards here and there, bring it up every now and then in conversations and you’ll soon find yourself going up the ranks. When in reality, you can expect to face a lot of rejection from family and friends. Is this really what you want? I know I don’t! We are well and truly living in the digital age and if you’re serious about starting your own successful home-based business than affiliate marketing is the way forward. The concept is a very simple one: you create your own website based on any topic you like, get readers, promote products and make a set commission. The good news is there are online training courses out like Wealthy Affiliate which can guide you through what you need to know step-by-step. After trying different MLM companies and getting scammed online I don’t know how many times, Wealthy Affiliate is the first place I learned how to make serious money online. I listened the training, I asked for help when I needed it and most importantly I took massive action, which is why I make $6,000+ per month and my websites do all the work for me. This is why I can wholeheartedly recommend the training at Wealthy Affiliate as the best place for beginners looking to earn a full-time income online. No recruiting, no hard-selling and it’s free to start. I hope this Sisel International review has been helpful in helping you ward off pushy recruiters hungry to sign you up into their downline! If you have any thoughts or questions about this review or MLMs in general, be sure to share your thoughts in the comments below and I’ll be more than happy to help you out. – Is Legal Shield A Pyramid Scheme? – What is the Zija Opportunity? – Is Viridian Energy A Pyramid Scheme? – Is Wikaniko A Scam Or Legit? I was introduced to Sisel by my sister-in-law who is a distributor – lots of hype! I spent $300 on their ‘triangle’ of liquid vitamins, plus shampoo & conditioner. After over a month I felt worse than I did on my old vitamin regime. I contacted Sisel’s support team to ask for a partial refund or credit toward something else if I returned the unused remainder, but I was abrumptly told Sisel International DO NOT DO REFUNDS!!! I shall never be buying anything from them again. 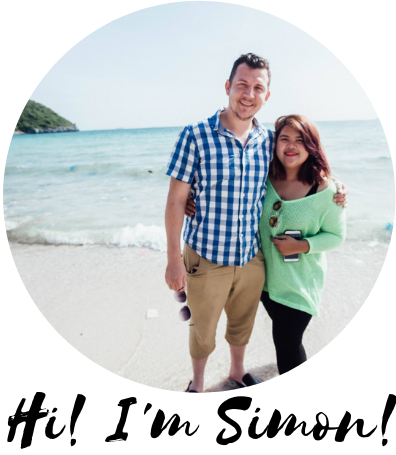 Simon, thank you for this eye opener of a review of the Sisel International MLM company. You have done a lot of research to expose the flaws and cons of Sisel and its founder Tom Mowers lack of integrity as well as the fact that the products themselves are not approved and are too expensive and for me they didn’t work. Hi Judy, thanks for sharing your experience, it’s a shame they didn’t try to give you a decent level of customer support when they had the chance. I’d be interested to know the price of your usual, better vitamins. When you’re paying hundreds of dollars for a multivitamin, you’d expect a premium product.